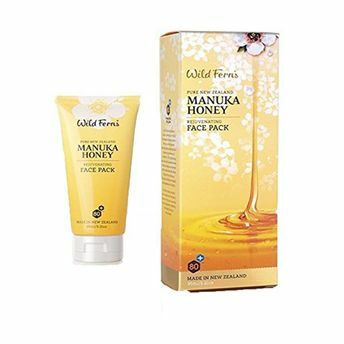 A rich and creamy face pack formulated with premium certified Manuka Honey 80+ - scientifically proven to deliver antioxidants, proteins, vitamins and minerals that purify, hydrate and heal tired and stressed skin. This face pack also contains the natural minerals and therapeutic properties of Rotorua Mud that work to cleanse and rejuvenate the complexion. It easily absorbs excess oils from within the skin's pores, detoxifies and purifies, and as it dries on the skin, helps promote the regeneration of new cells. Green Tea and Vitamin E provide antioxidant protection from environmental damage.